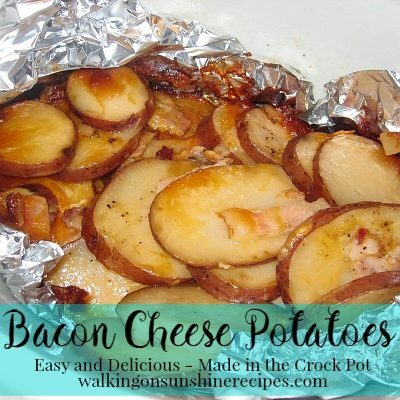 Bacon Cheese Potatoes cooked in the crock pot until they are fork tender, cheesy and delicious! Oh and there’s bacon too! The other day I mentioned on my Walking on Sunshine Facebook page that I was trying a new recipe for Bacon Cheese Potatoes for dinner. I was pretty excited about it and shared with everyone a picture as a tease for today’s post. AND a lot of my friends and followers started getting excited as well. And I’m still pretty excited because it turned out really good. Actually better than good. And it was so easy and you make these potatoes in your CROCK POT. You can either pre-cook your bacon or put it in raw. I have tried it both ways and like it better pre-cooked. I always cook my bacon in the oven…less mess! 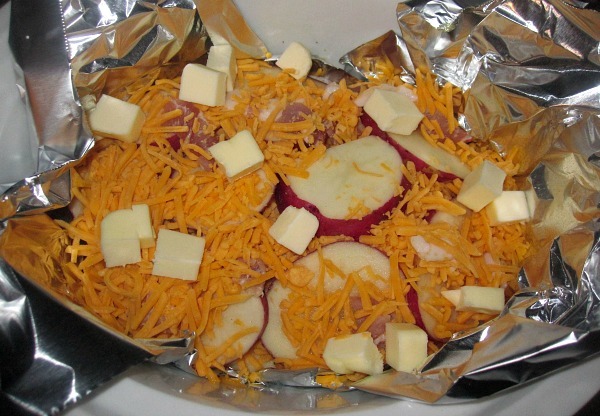 Start layering everything in the crock pot, beginning with the potatoes, then the bacon and cheese, sprinkling with salt and pepper in between each layer. Cover with aluminum foil and then cover with the lid to your crock pot. Cook on low for 4 to 6 hours or on high for 2 to 4 hours. My crock pot cooks really fast, so after around 3 hours the potatoes were fork tender, hot and steamy. Transfer the potatoes from the crock pot to a serving dish, top with fresh parsley or chopped green onions and get ready to enjoy the most DELICIOUS potato casserole ever. I was really skeptical with this recipe. I did not think it would work and I will be making this again soon. I can see making this for a large group of people. 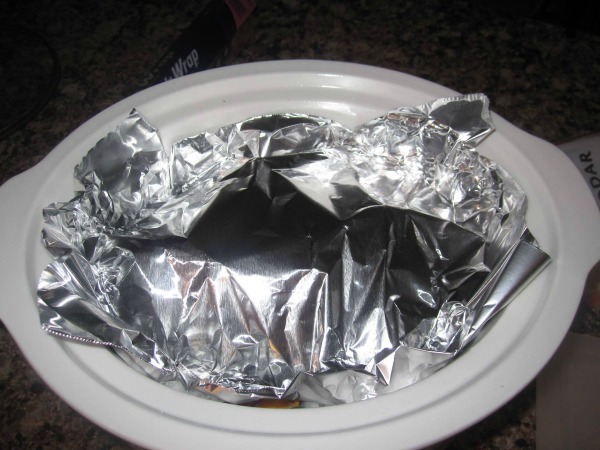 Begin by lining your crock pot with aluminum foil. I sprayed my crock pot liner with non-stick cooking spray first and then lined it with the aluminum foil. Dice the bacon, if you are adding it raw, OR dice the pre-cooked bacon. Start layering everything in the crock pot, beginning with the potatoes, then the bacon and cheese, sprinkling with salt and pepper; I was able to get three layers. Dot the top layer with the 2 tbs. of butter. Cover with another piece of foil AND THEN THE CROCK POT LID and cook on low for 4 to 6 hours or on high for 2 to 4 hours. You can either pre-cook your bacon or put it in raw. I have tried it both ways and like it better pre-cooked. I always cook my bacon in the oven...less mess! My crock pot cooks really fast and I always check after 2 hours and if the potatoes are fork tender, I know they're ready. 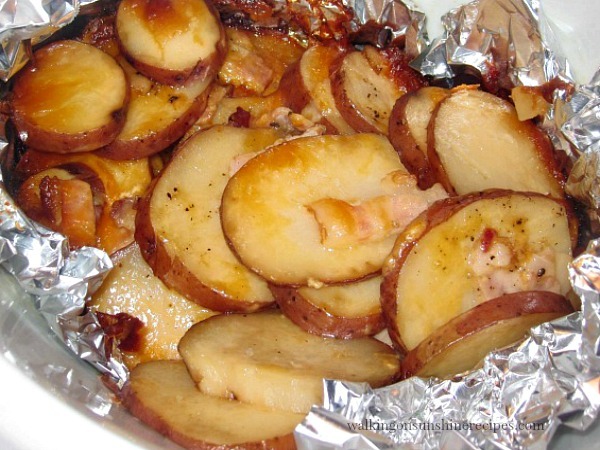 The perfect side dish to these Bacon Cheese Potatoes is BBQ Ribs. Looks scrumptious! I'm sure Kevin would love it…but I'm not sure why the aluminum foil is needed. ? 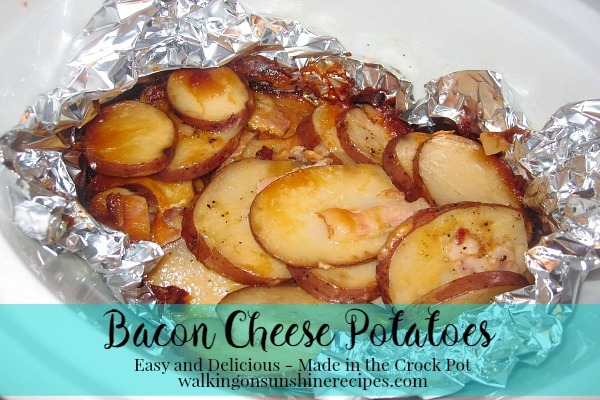 Cheese, bacon, and potatoes…three of my favorite things! 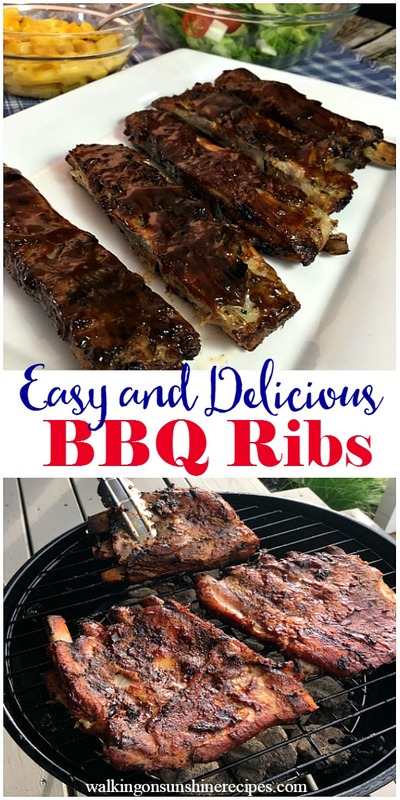 Oh, these look delicious and I love that they are done in the crockpot. I have to try this recipe. This sounds wonderful and pretty easy to whip up too. Hope you have a good day! That sure does look yummy and I am going to try it for sure. I actually think I am going to go make this right now. I was looking for something to make in the crockpot! I WAS on a diet!!! Dear Lois, These potatoes sound delish!! What could be better than bacon, potatoes and cheese put together. I want to wish you a wonderful Mother's Day weekend. This looks perfect…I adore using my crockpot…love having a meal ready at the end of the day when I'm about ready to drop. Supper is my most difficult meal; I'm always exhausted and settle for a PB&J sandwich or cheese & cracker. Just how did you know that I was looking for a new side dish? Imagine these with BBQ spareribs!?! I read a recipe yesterday for a rub for meat and I plan on trying it tommorrow and grilling the pork. Favorite piece of clothing – I have white knit legging pants that I have had for nearly ten years. They are awesome and unless they become unwearable I am NOT getting rid of them. They are light weight and thin and feel like you are wearing nearly nothing but your legs don't get cold and they don't bind and or pinch and I can sleep in them and wear them around to house (only) to do chores or watch TV or… My daughter likes them also and it is becoming a battle as to who gets them first. Love the hand sanitizer sign and want to make one for the restroom at church. Hope all is well and you are finally rid of what ever your stomache problem was. I just bought me a new crock pot, and I must try these, thanks for all the wonderful, and delicious recipes you share. Wishing you a most blessed and Happy Mother's Day, Lois. Oh my those look so good. It's going on my MUST-MAKE list! Those do sound very flavourful, Lois! Oh my Lois, how did I miss this before? It looks SO good and I love crock pot recipes and easy too! I'm going to make this and when I do, I'll let you know! I have my menu in order for the next two weeks, but it is going on the next one! And thanks for joining me for Pinned it, Made it! Monday! What's not to love when BACON onion and potatoes are put together! LOVE this and trying it. oh boy, what's not to love about cheese, po's and bacon, yum!! My goodness this looks delicious. 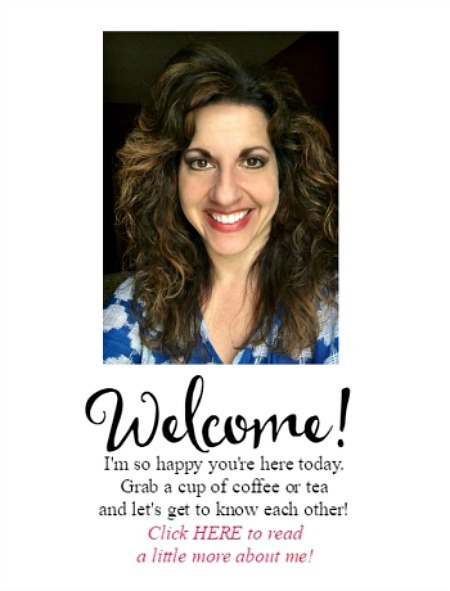 I have a weekly link-up that just went live a bit ago and would love for you to come and share this there! Your post was featured. Come and grab a button in a bit! This recipe looks so interesting and isn’t your run of the mill potato recipe. And how can you go wrong with cheese and bacon! That’s exactly what I’m looking for in my Link Party that just opened a few minutes ago. 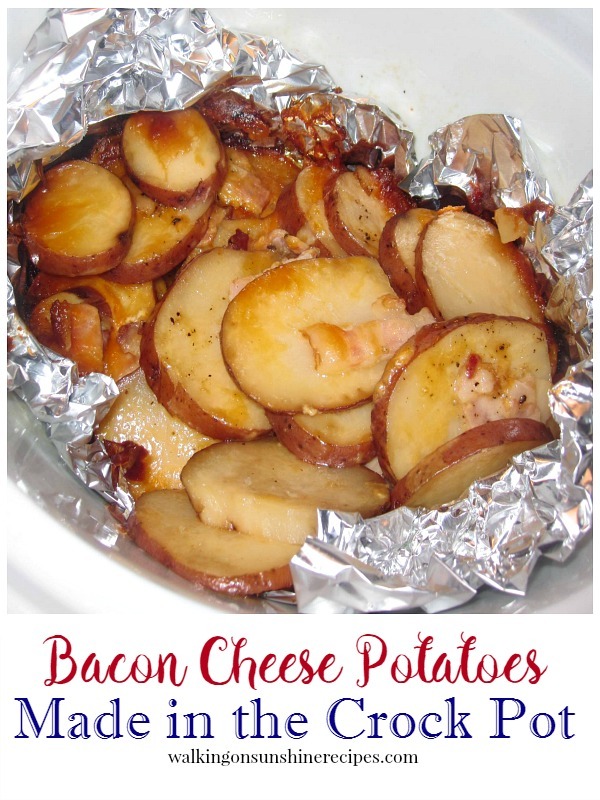 This week on Future Expat’s Required Ingredient Link Party, we are featuring potato recipes. I hope you’ll come link up this one and any others you think others will like! These look amazing! Why the foil? OMG Lois this looks absolutely delicious. Luv it!. Thanks for sharing with FFF Potato Lovers Party!!!!! Pinned and sharing. G'day! What a warm and welcoming…be GREAT at a BBQ dish Lois!